The Zimbabwe Defence Forces (ZDF) say significant progress has been made in their operation, adding that they have accounted for some of the criminals around President Robert Mugabe in order to bring them to justice since they were committing crimes that are causing social and economic suffering in the country while others are still at large. In a statement, the ZDF said they are currently engaging with the Commander-in-Chief, President Mugabe, on the way forward and will advise the nation of the outcome as soon as is possible. 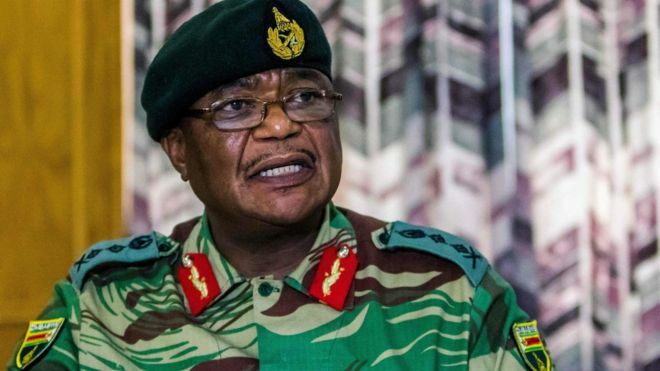 The ZDF said defence attaches accredited to Zimbabwe have been briefed to appraise their principals on the obtaining situation in the country, adding that they have also advised the bureaucrats to brief their co-operating partners. The defence forces implored other security services to continue operations and carry out their duties without any form of impediment to their operation. The ZDF said while they appreciate the enthusiasm by certain individuals and groups within society, they want to make it clear that they should not purport to be speaking on its behalf. The ZDF said they will periodically make press releases to keep the public informed of developments in the country. Meanwhile, the ZDF is commending the nation for remaining patient and peaceful as they carry out the operation.